Some of the most prized albums in my collection have the name T Bone Burnett attached to them. These include the marvelous duo recording Raising Sand by Robert Plant and Alison Krauss, the remarkably personal No Better Than This by John Mellencamp, Low Country Blues by the late Gregg Allman and the outstanding soundtrack to the Coen Brothers' picture, O Brother, Where Art Thou? So I was keen to learn more about the man and his earthy approach as producer on these great records. 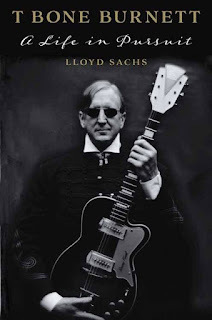 Lloyd Sachs’s book called T Bone Burnett: A Life in Pursuit (U of Texas) tells that story and reveals much more about this versatile artist. His short but concise biography, released last year, tells the story of Burnett with a critical eye on his output as a producer, but also focuses on his own life in music. The “pursuit,” as Sachs puts it, is a little vague but no less a driver for how Burnett’s approach to music creation makes him so special. Says Burnett, who’s quoted extensively throughout the book, “All Art comes out of community and when communities can get together and not fight over who gets what piece and instead can say ‘this is ours, let’s make it great’ it just ends up being better . 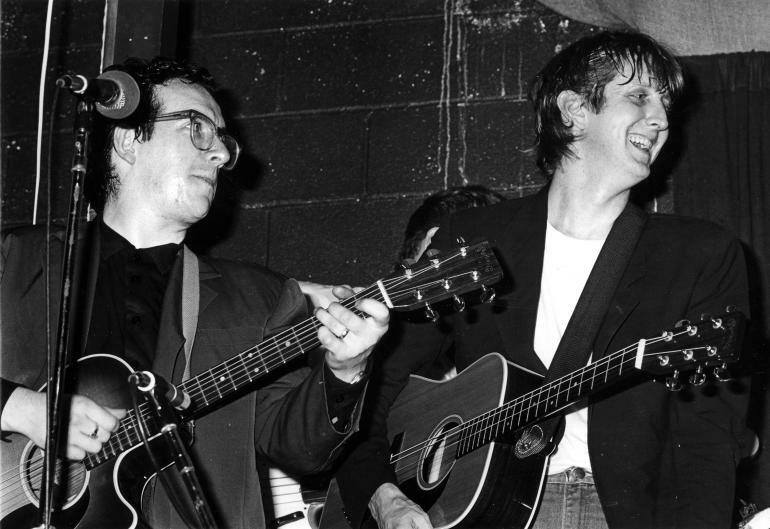 . . so to get to the spirit of a piece of art right, everyone has to be generous.” So it goes for Burnett, who has been a part pf a music community over the past 50 years, since he was kid growing up in Texas. Burnett was born in St. Louis, MO in 1948. His father worked for the Tandy Corporation and moved to Fort Worth, TX when Joseph Henry Burnett III was four. According to Sachs, Burnett acquired the nickname “T-Bone” but can’t recall how and removed the hyphen when he became an adult. Sachs explains in his introduction that, after he first met Burnett in 2008 as an editor at No Depression magazine, Burnett wasn’t interested in reflecting on his life in a book because he didn’t want to “look backward.” Burnett trusted Sachs, but felt better about not participating in the telling of his own story, beyond the sharing of some personal photographs contained in the book. Once the University of Texas in its American Composer Series commissioned him, Sachs went ahead with a full-length biography with Burnett’s endorsement. T Bone Burnett: A Life in Pursuit is recommended reading for anyone interested in learning more about "the man behind the curtain” of so many great records these past 20 years. Burnett’s solo records are given consideration by the author as well. Unfortunately Sachs doesn’t include a complete discography of Burnett’s output, offering up instead a handful of “selections” and a few words about some of the musicians Burnett hires to create his sound. Considering the extensive source material for the book listed in the bibliography, I was disappointed Sachs didn’t go the extra mile and offer readers a detailed list of Burnett’s remarkable body of work in one section. A complete discography would have been a useful addition to this concise biography. – John Corcelli is a music critic, broadcast/producer, and musician. John is also the author of Frank Zappa FAQ: All That’s Left To Know About The Father of Invention (Backbeat Books).